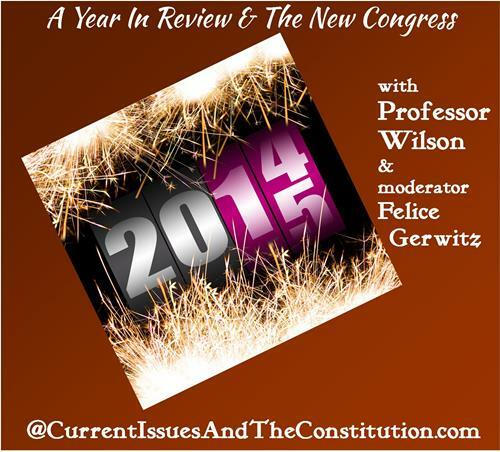 Felice and Woody talk about the year in review – highlights of the political arena in 2014 and an eye to the future. How long have illegal immigrants been coming to America? Should we deport all illegal immigrants or …. Does amnesty for some have merit? First, secure the border? Customs and Border Protection’s (CBP) drone program is ineffective and surveys less than 200 miles of the southwest border, according to an audit by the Department of Homeland Security’s (DHS) Office of Inspector General. The first lawsuit, filed last week by a coalition of 24 states led by Texas. Oklahoma is about to file, and other states may do so as well …why? As for Congress, Rep. Robert Goodlatte, a Republican from Virginia, is spearheading a litigation movement. Once the new Congress is sworn in, the House will file a complaint that the new Republican Senate will (very likely) then vote to join. Not all Republicans agree: Lindsey Graham(R – SC) turned on his own party during a television interview on CNN’s “State of the Union,” chiding Republicans for failing to pass immigration reform before President Obama issued an executive action granting amnesty to about 5 million illegals. Graham: “Is it the position of the Republican Party that the 11 million must be driven out? I have never been in that camp as being practical. I am in the camp of securing our borders first; fixing a broken legal immigration system, have an E-Verify program so you can’t cheat. Poll: Fox News reveals opposition to immigration amnesty Obama’s unilateral amnesty for millions of illegals. The poll shows that immigration is Obama’s worst rated area, where he has only 36 percent support and 60 percent opposition — 2 points more than the 58 percent who oppose Obamacare. And the other questions in the poll show that his 36 percent support is much softer than the hard opposition from 60 percent of respondents …one question showed that huge numbers worry that his amnesty will invite more illegals. Finally, 49 percent of independents, 72 percent of Republicans and 29 percent of Democrats said it “very” likely that Obama’s “easing the immigration laws with his amnesty plan will result in more people entering the United States illegally.” Only 10 percent of independents, 13 percent of Democrats and 4 percent of Republicans said they were “not at all” concerned. Tea Party vs. Centrists – both houses, McConnell …Boehner challenged by Reps. Louie Gohmert of Texas and Ted Yoho and Daniel Webster of Florida. Michael Grimm (R, NY) announced late Monday night plans to resign from Congress, after pleading guilty to a felony tax evasion charge last week. Majority Whip Steve Scalise (R, LA) spoke to white supremacist group, European-American Unity and Rights Organization.